The Big Cheese is a ‘must see’ attraction for all visitors, celebrating its 20th year in 2017. 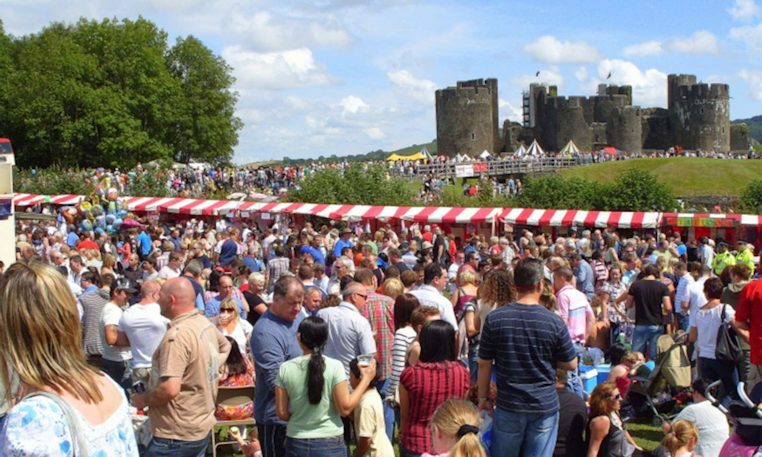 Portraying the history, heritage and culture of Caerphilly. Families from all over the country flocked to Caerphilly to experience this fun filled programme of activities and entertainment. NEW for 2017 – The Big Cheese welcomes a fantastic Cheese Market with 14 cheese producers displaying their wares. Try as you buy with lots of delicious cheeses from top class producers including The Blaenafon Cheddar Company, The Great British Cheese Company and Snowdonia Cheese to name just a few. The Big Cheese weekend is a FREE event and over 80,000 people are expected in 2017.